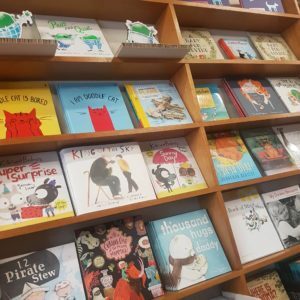 The Little Bookroom is a special slice of children’s book heaven nestled in the inner north! 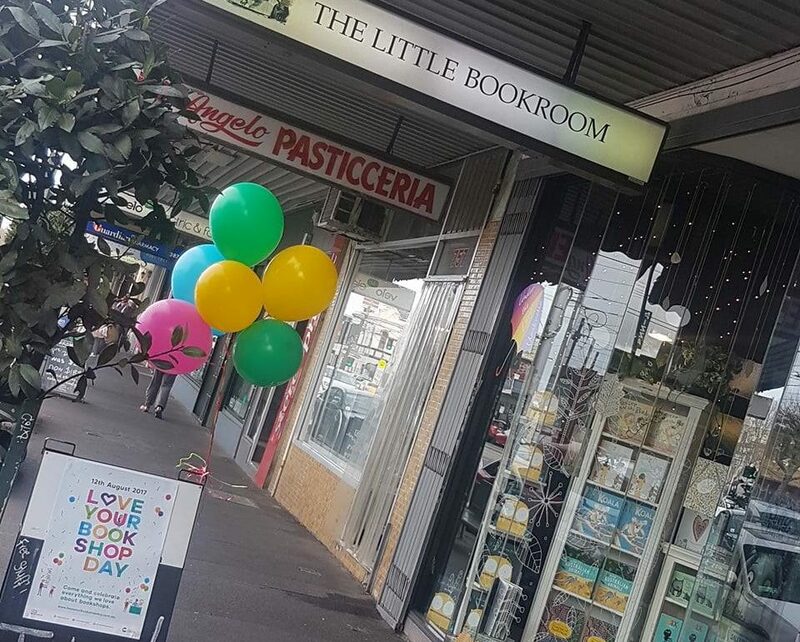 Situated on 759 Nicholson street in Carlton North, TLB (The Little Bookroom) is in the perfect pozzi to grab a coffee from one of the many local cafes and wander in to pick up a book for your collection. The Little Bookroom has such a great history. It originally opened its doors to the public on Friday the 13th October, 1960. 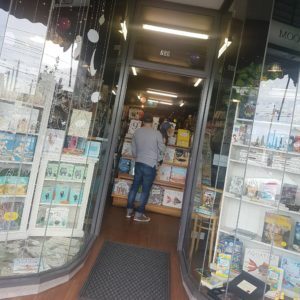 It’s original owner, Albert Ullin, decided to focus his love for contemporary children’s literature and illustration into an Australian first: he would open a bookshop devoted solely to children’s books. It’s original space was a tiny one, in Melbourne’s Metropole Arcade on the corner of Bourke and Elizabeth Streets. It has had a few homes since then including Equitable Place, Elizabeth street, 771 Nicholson Street before finally resting in its current, and hopefully permanent, location of 759 Nicholson Street Carlton North. Something I find particularly sweet is that Albert’s original shelves have made every single move! What a great legacy! In its history TLB has only had three sets of owners, all of whom have been committed to continuing its iconic legacy. Albert sold the business to three of his staff in 1997 – before, in turn, selling it to one of their employees, Leesa Lambert and her parents Lesley and Ian in early 2008, who are the current owners. A little more on these legends later. 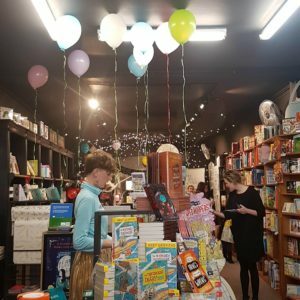 We visited TLB for Love Your Bookshop Day and boy was it fabulous. Balloons for all of the children (even the big kids lol) and an abundance of colours to attract the eye. Albert’s original wooden shelves are so grand, and full of great kid lit that I couldn’t resist buying a sneaky story for our collection. Photos just can’t do these shelves justice. So you will just have to pop in and see for yourself. Some of the picture books have been organised into themes such as new baby, family or bereavement. Perfect for a parent, carer or teacher who is looking for something in particular. Anything you’re looking for I’m sure it’s there, and if it’s not, then they will happily get it shipped in for you. Not only do TLB have a bunch of beaut books (duh!) They also have plenty of space for events, Story Time and Book Club! The space toward the back of the store is so cosy and inviting. Perfect for Story Time. 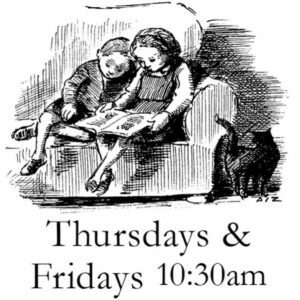 Story Time is each Thursday and Friday morning at 10:30am. Parents and little ones are welcome to come and enjoy a bunch of beautiful books and connect with other families in the area. It’s a great way to get the littlest of readers, who are not independently reading just yet, excited about literature. 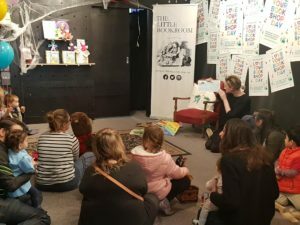 We were lucky enough to experience a snibbit of Story Time during Love Your Bookshop Day. Louis loved it and showed 5 star listening! (Proud teacher Mum moment!) I am so excited to take him more regularly when he transitions out of this early napping business. Then there is Book Club. Book Club is perfect for older children who are more independent readers. They meet on Fridays at 4pm and chat about great new reads. Typically, these books are Australian written and/published because let’s face it… Australian literature rocks! And so does reading local! If that’s not enticing enough, there’s usually hot chips to munch on too. Gimme! The Book Club is split into 3 categories. Years 1 and 2, Years 3 and 4 and Years 5 and 6. Just jump on TLB website to check out dates and how to register. Events are also a huge part of TLB culture. There’s always something fun in the pipeline. Whether it is a book launch, an author reading or a workshop, TLB often have something fun that you can pop into your calendars. Keep an eye on their events calendar so you don’t miss anything. In fact, there’s one coming up this weekend! Aside from all of that fancy stuff, the core of this beautiful space is good literature, smiling staff and a strong reading culture. The people who work there obviously love reading, and are passionate about what a good book can do for the soul. I found myself chatting to the staff about books for ages. The owners are gorgeous humans! You can see the pure joy Leesa and her family share for this space. The way they greet customers makes you feel like a new family member. Leesa welcomed me with a big squeeze and a smile from ear to ear. What a warm and lovely way to invite a new reader into your space! What’s more special is that they want what I want. They want to get kids reading, but more importantly, get kids to love reading. Their Story Time and Book Club are clear examples of how the staff at TLB are working hard to fight the good fight. If you are ever around that way, please do yourself a favour and head there for a visit. Hey, even if you’re not around that way you should go anyway! Ha! If you have a reluctant reader and you would like to immerse them into a reading culture that is fun and inviting, then you should contact Leesa. She can talk to you more about the Book Clubs that they have available so your little reader can slot right in. And, ummm there’s chippies! Yay! Check out their website www.littlebookroom.com.au for more info.